LifeTyped is all about bringing attention to honoured moments in life rather than letting them slip away without their rightful fanfare! We capture your life’s moments with WORDS and create pieces of personalised ART for you. LifeTyped loves fun, celebration and parties. Making memories and creating history. Cheering for others and patting yourself on the back. Reflecting on life and looking forward to fabulous times ahead. We LifeTyped, LifeTyped and created the manifesto below (we’ll soon be offering personalised manifestos for other businesses too!). It showcases who we are, what we do and what we are aiming for. I love this, I love that. You do too?! Maybe we could…? Do you think…? People would love…! I would have loved…! You could…? I could…? This lead to that. Amazingly, Downton Abbey was forgotten for a while as we brought out pens, paper, laptops and mobiles as we brainstormed, asked questions and researched the idea. That afternoon LifeTyped was born and we set about LifeTyping everything in our lives. These life-affirming pieces of art are the result of that day. We’re putting together a tribute to the show that is now part of our lives: Downton Abbey LifeTyped coming soon! We’ve created LifeTyped as a wonderful celebration of life and love. We (Kirsten & Arienne) are creating works of Art from the words, photos and personalised information you provide! What makes us different?…6 Reasons! 1) We love this stuff! We’re two women with ideas. building our dreams and creating the lives we want while working towards having positive impacts on others. 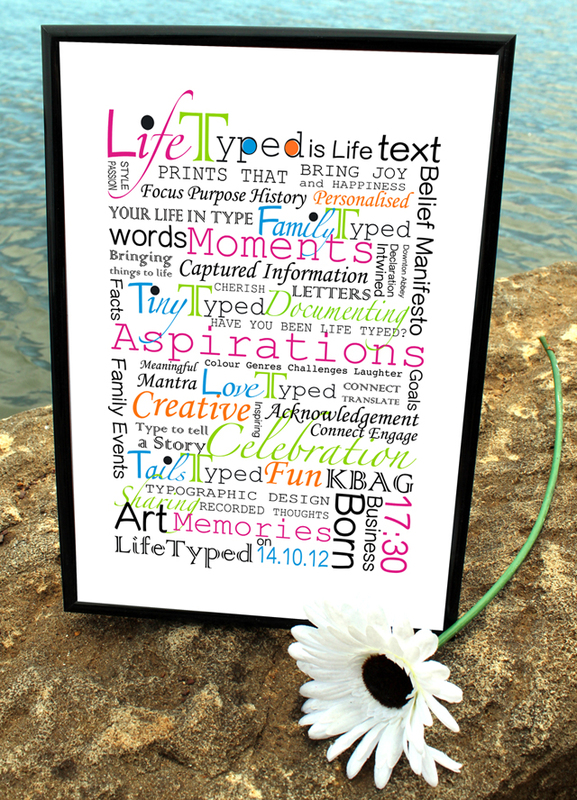 We are truly passionate about LifeTyped and the gorgeous, life-enhancing prints we offer. 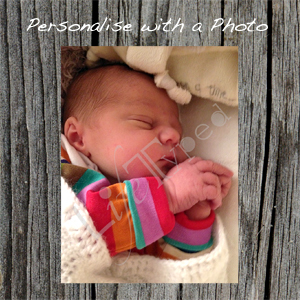 2) Personalise your print with a photo of your own! We couldn’t find many/any birth and other prints where you could include one of your own photos, which we feel adds that extra little spark to your personalised typographic print. If you don’t have a photo, don’t worry! There are illustrations you can choose from on the product pages instead. 3) Here at LifeTyped we take pride in ensuring you are 100% happy. We send you a proof of your print for approval prior to sending out your beautiful LifeTyped product. 4) We offer four print sizes perfect for putting into any gorgeous frames you may have at home! 5) Our exclusive wallet sized option is a unique way to carry your print with you at all times and to show it off to friends and those lucky strangers! 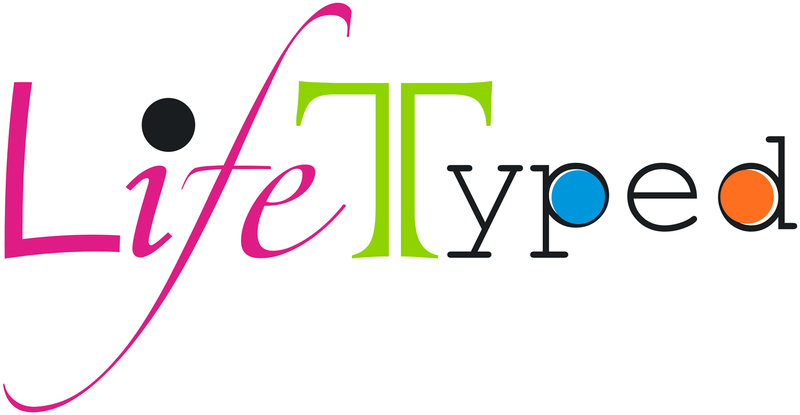 6) LifeTyped uses a combination of five core vibrant colours and five funky fonts!